On the 28th of April 1946 Titch Allen arranged a meeting in Guildford Surrey of bike enthusiasts from as far afield as Cheshire, Nottinghamshire, Shropshire and Leicestershire with the idea of forming a club to save and preserve motorcycles manufactured prior to 31st December 1930. 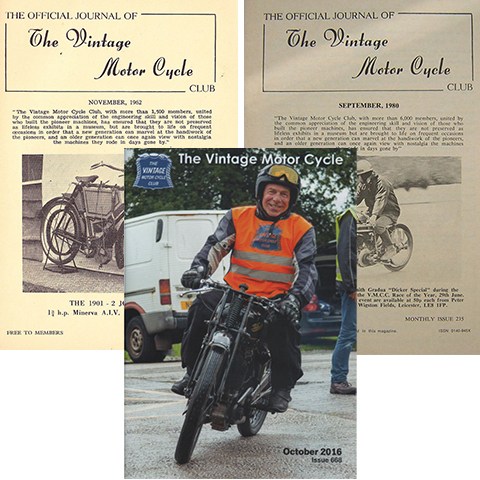 From this meeting The Vintage Motor Cycle Club was formed and initially membership was restricted to owners of motorcycles manufactured before the 31st December 1930. Those founder members could not have imagined the impact they would have in saving so many machines that may have otherwise been lost. Little did they know that it would grow into an internationally recognised and respected club with a membership of over 15,000, with 86 sections throughout the the uk and beyond. As well as the day to day running of the club and organizing events there are services available to members range from Insurance services, a comprehensive library, spares, parts, tyres etc. the list goes on and on all available from VMCC Head Quarters. The Anglian section meet every 2nd Tuesday of the month (map here) we welcome new members and existing VMCC members to join us at our events and club nights.